Aloe is a succulent plant widely used in alternative medicine.There are at least 420 different plant species of Aloe. Aloe vera specifically refers to the Aloe barbadensis Miller plant, which is the most common form used in Aloe-based products. capsules, powders, and as a flavoring. Aloe Vera contains over 200 active components including vitamins, minerals, amino acids,enzymes, polysaccharide, and fatty acids- no wonder it’s used for such a wide range of remedies.The bulk of the Aloe Vera leaf is filled with a clear gel-like substance, which is approximately 99% water. Aloe Vera contains many vitamins including A, C, E, folic acid, choline, B1, B2, B3 (niacin),B6.Aloe Vera is also one of the few plants that contains vitamin B12.Some of the 20 minerals found in Aloe Vera include: calcium, magnesium, zinc, chromium,selenium, sodium, iron, potassium, copper, manganese. 2. Aloe Vera is High in Amino Acids & Fatty Acids . Amino acids are the building blocks of protein. There are about 22 amino acids that are necessary for the human body and it is said that 8 of these are essential. Estimates of the amino acids found in aloe range from 18-20 amino acids, with all 8 essential amino acids. Alove Vera also includes quite an impressive range of fatty acids. Aloe contains three plant sterols, which are important fatty acids- HCL cholesterol (which lowers fats in the blood), campesterol, and B-sitosterol. All are helpful in reducing symptoms of allergies and acid indigestion. Other fatty acidsinclude linoleic, linolenic, myristic, caprylic, oleic, palmitic, and stearic. 4. Aloe Helps with Digestion: Poor digestion is related to many diseases. A properly functioning digestive tract is one of the keys and foundations of health. Aloe is known to soothe and cleanse the digestive tract and help improve digestion. The interesting thing about taking aloe internally is that, because it is an adaptogen, it helps with either constipation or diarrhea, helping to regulate your elimination cycles in whatever way you need. It’s been a great remedy for people with problems such as irritable bowel syndrome as well as acid reflux. Aloe also helps to decrease the amount of unfriendly bacteria and in our gut keeping your healthy intestinal flora in balance. Aloe is also a vermifuge, which means it helps to rid the body of intestinal worms. 5. Aloe Helps in Detoxification: Aloe Vera is a gelatinous plant food, just like seaweeds and chia. The main benefit to consuming gelatinous plant foods in your diet is that these gels move through the intestinal tract absorbing toxins along the way and get eliminated through the colon. This will help the proper elimination of waste from your body and help the detoxification of your body. There hasn’t been a lot of studies conducted in this but there has been some research to show that Aloe Vera extract injected into the blood, greatly multiplies the oxygen transportation and diffusion capabilities of the red blood cells.According to a study published in the 2000 issue of the British Medical Journal, beta sitosterol helps to lower cholesterol. By regulating blood pressure, improving circulation and oxidation of the blood,lowering cholesterol, and making blood less sticky, Aloe Vera juice may be able to help lower the risk of heart disease. bi-product of life itself, it is a naturally occurring process but we can overload ourselves with unnecessary free-radicals by living an unhealthy lifestyle) Aloe is also an antipyretic which means it used to reduce or prevent fever. astringent: which causes the contraction of body tissues, typically used to reduce bleeding from minor abrasions.Due to aloe’s high water content (over 99% water) it is a great way to hydrate, moisturize and rejuvenate the skin and fits within my general guideline: “Don’t put anything on your skin that you wouldn’t eat!” Aloe increases the elasticity of the skin making it more flexible through collagen and elastin repair. Aloe is an emollient, helping to soften and soothe the skin. It helps supply oxygen to the skin cells, increasing the strength and synthesis of skin tissue and induces improved blood flow to the skin through capillary dilation. phenol which are substances that prevent the growth of disease-causing microorganisms and act as a team to provide antimicrobial activity eliminating many internal and external infections, also active against bacteria. It also helps to treat fungal and viral infections. 11. Aloe Helps Reduce Inflammation Aloe Vera contains 12 substances, including B-sisterole, which can help to slow down or inhibit inflammation. This may be able to help with painful joints due to stiffness and help improve joint flexibility. 12. Weight Loss – A Secondary effect Improving your digestion, and detoxifying your will have a secondary effect in promoting weight loss because when we start to improve our digestion we naturally eliminate more efficiently,which is a primary way they we detoxify – through our bowels. This will lighten our toxic load on the body and will give us more energy. electrolytes, especially potassium.Avoid taking aloe internally during pregnancy, menstruation, if you have hemorrhoids or degeneration of the liver and gall bladder. Many people are trying to sell their aloe vera juice products. Like I always say “fresh is best”.Aloe plants can grow pretty much anywhere. When I was living in Canada, I used to have several indoor aloe plants and they did really well. Now that I live in Hawaii, aloe grows everywhere, so I don’t need to buy the juice, I just make it myself. Some companies selling Aloe juice recommend thatwe should take it ‘regularly’ but I don’t necessarily agree. We need to treat this plant as the medicinethat it is and by tuning into our bodies we can really start to notice if we’re pulled to this plant for some level of healing. Would we take medicine unnecessarily without our bodies really needing it?Probably not, and that’s the same with plant medicines. If you’re experiencing one of these digestive ailments use it for a short period of time for it’s course in treatment (1-2 weeks) and then stop andwait at least a month before starting again.When I was living in Vancouver, I bought a big jug of the aloe juice and was taking shots of it in the morning. One of the ways that we can tune into our bodies is to simply notice immediate reactions.When I first started taking it, my body was totally fine with it, the taste didn’t bother me, and I could tell it was ok for my body. After a couple of weeks, I would take a shot and I would get a bit of a gag reflex. Our bodies are incredible at communicating with us. This was my sign that the Aloe medicine had run its course in treatment and didn’t start taking it again for at least another month or two.We see something that says weight-loss on it and we just go to town on taking it without considering the potential toxic effects of over-doing a potent plant medicine like Aloe. I don’t think in any culture, aloe was used internally every single day – most traditional cultures understand that more isn’t always necessarily better and use it when it is actually needed. This way, it ensures the use of the effectiveness of the constituents of the plant when we are in need of it. biodegradable body scrub in the shower. 5. Soothe and heal sunburnsthe feel-good way. Aloe contains cooling properties similar to menthol. of corn meal, four tbsp. of aloe vera gel and a half cup of unscented body lotion. 16. Soothe Psoriasis 17. Prevent scarring and stretch marks. vera, 2 tbsp. of organic brown sugar and 1 tsp. of organic lemon juice. vera, one cup of organic coconut oil and two tbsp. of local, organic honey. 31. Sip it to aid in elimination. Many times, it’s recommended for its laxative effects. 40. 40.Toast to its general detoxifier and health boosting qualities! important to vegetarians and vegans. applied to the skin topically. • Lipases and proteases: They can help breaking down foods and assist digestion. • Some others can help digest dead tissues in wounds. systems in different metabolic pathways. bring great benefits to our health. syndrome. These sugars can also be main moisturizers in topical preparations. singular penetrative effect and thus helps easier absorption of other ingredients into the skin. antiseptic properties and are powerful anti-microbials against bacteria, viruses, fungi and yeasts. This is an aspirin-like compound that has anti-inflammatory and anti-bacterial properties. 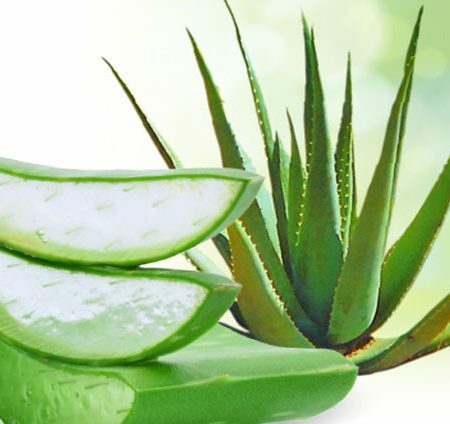 acids our body cannot synthesize, Aloe Vera provides . exert purgative effect and produce abdominal pain or diarrhea. and safety of our drinks products.